Do you ever give money as a Christmas gift? We usually give our adult kids a little cash for Christmas and I’m always trying to come up with a clever way to wrap it. I generally don’t think about how to wrap the money until a day or so before we celebrate, when I’m short on time and patience. I peruse Pinterest to see what kind of clever ideas I can find there only to discover that my lack of time and patience will impede the completion of any of the clever Pinterest ideas. At this point, I just give up and decide the best route will be putting a check inside their stockings. This year though, I was ahead of the game and had time to do a simple little wrapping job. I saved up toilet paper holders, stuck some cash inside and wrapped it up with tissue tied shut on each end. And, to add my own little less than Pinterest-worthy flair, I fringed the ends by cutting the paper into strips. It took me about 30-45 minutes to wrap six packages of cash that looked way less cute in reality than it had in my mind. To accommodate everyone’s schedule we celebrated our family Christmas together early in December so our kids have already opened their cash gifts. It took them about 20-30 seconds to open what I had spent all that time wrapping. Perhaps if the packages looked like I’d spent so long wrapping them I’d have felt better about my investment being so easily torn apart. My grandmother was a master at successfully wrapping cash into a gift. One year, she used some drum shaped ornaments (made primarily from cardboard, but still very cute) as her hiding place. She cut the tops off. She then stuffed a check (or cash, I can’t remember) inside and somehow glued it all back together so well, you never would have thought to look inside if she hadn’t been there to tell you. Oops! Well, that’s what happens when you’re so good at getting something inside a box so that it looks as though it’s never been opened. 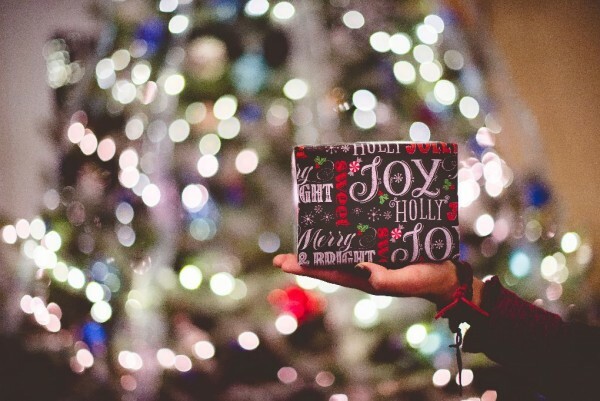 But what a great wrapping suggestion, right? I mean, if you’ve got nothing better to do with your time. So, if you’re wrapping up cash for Christmas and need some inspiration for cute wrapping ideas, check out Pinterest. If you’re a little stressed and need to get it done quickly, try sticking the money inside a pair of new socks, a travel mug, or even a good book. Just make sure to tell them to look inside. Meanwhile, I’d better start thinking about next year.